Deleting a YouTube channel with over fifty million subscribers is like burning lifetimes of paychecks. 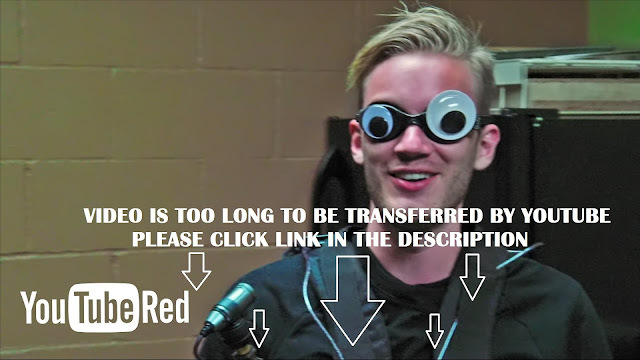 No wonder that most people on the internet are skeptical that PewDiePie would really just throw away one of his biggest investments. But did PewDiePie really take his YouTube down? Yes. His other channel Jackscepticeye2 has been deleted. So he kept his words but not exactly as others perceived. Deleting that channel with more than 50,000,000 could earn Felix Arvid Ulf Kjellberg the 'most stupid YouTube celebrity' title. Although he made some valid points on how YouTube advertise irrelevant videos in your feed, PewDiePie may have realized that ditching his source of income is not worth it. Some may see this as a joke, but the whole of it is really fantastic. That's an ingenious way to double-up the attention that he gets. We assume that YouTube has their radar on this and may be contemplating to implement a drastic change when it comes to presenting contents to YouTube followers.